There are an enormous range of California poppy seeds for you to enjoy, and filling your garden with as many specimens as possible can turn into a great hobby. Beautiful white varieties such as White Linen offer an early bloom to the garden in spring, while vibrant Jelly Beans gives a host of hues to excite borders with explosive color. But one of the loveliest varieties is that of the serenely named Rosa romantica. As its name suggest this California poppy offers petals colored with a rose hue. However, the petals are patterned with additional colors of salmon pink and pale yellow, creating an amazing and stunning bloom that will really catch the eye. And, with the blooms also being double petaled Rose romantica really offers something special to any garden. Like all California poppy Rosa romantica is an annual specimen which will bloom profusely throughout the year before dying off as the first frosts hit. However, with this plant developing hundreds of poppy seeds at the end of its flowering year you can easily collect and store the tiny seeds so that you can sow new plants the following year. With such a stunning bloom Rosa romantic really looks best when planted in large groups on its own. Filling a container, hang basket or window box with this stunning variety will create a showy scene that will always stop you in your tracks. Meanwhile, if you want to plant it in borders ensure that you have a contrasting backdrop so as too really show blooms off. And once you have these poppy seeds in your garden you never want to be without them again. 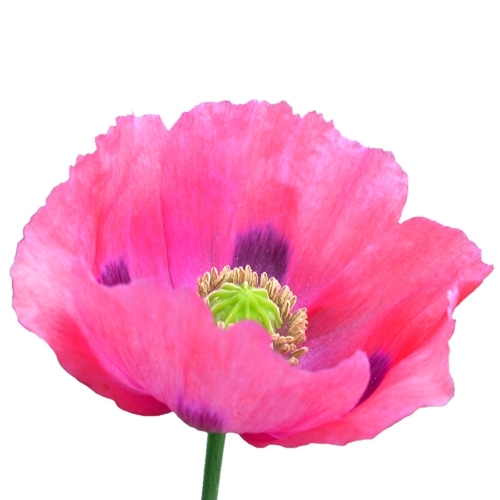 For more information on this beautiful bloom and to buy seeds for your garden, visit One Stop Poppy Shoppe.com.